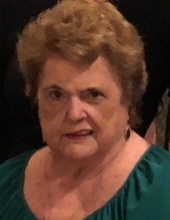 Phyllis P. Hallett, August 13, 1933 - April 6, 2019 of Dover, DE and Fort Lauderdale, FL. Beloved mother and grandmother passed away peacefully surrounded by her daughter, Jill Harris of Fort Lauderdale, son William E. Hallett III and daughter-in-law Judi of Hurlock, MD. Grandmother of 5, Adam and Julian Harris, Elizabeth, Brooke, and Benjamin Hallett. She is preceded in death by her loving husband of 60 years William E. Hallett Jr. She was a member of Wesley Melodist Church, past president of the Junior Board of Bayhealth Kent General hospital in Dover, DE, an avid reader, and a member of Gilda’s Club of Fort Lauderdale FL. A Celebration of Life will be held 11 am, Saturday June 22nd at Torbert Funeral Chapel, 61 S. Bradford Street, Dover. Friends may call one hour prior. To send flowers or a remembrance gift to the family of Phyllis P Hallett, please visit our Tribute Store. Guaranteed delivery before Phyllis's visitation begins. Guaranteed delivery before Phyllis's a celebration of life begins. "Email Address" would like to share the life celebration of Phyllis P Hallett. Click on the "link" to go to share a favorite memory or leave a condolence message for the family.